Poisoning is a common emergency department presentation, and is the third major cause of hospital admission in Australia. The new edition of this all-encompassing toxicology reference describes the risk assessment-based approach pioneered by its principal authors. 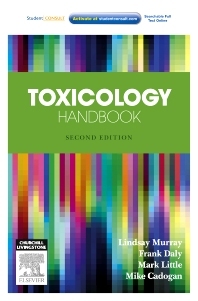 The Toxicology Handbook is written for hospital-based doctors at all levels and is divided into six sections, including an approach to the poisoned patient, specific toxins, antidotes, toxinology and antivenom. It also deals with specific toxicology considerations like alcohol abuse, dependence and withdrawal, and poisoning in children and the elderly. Important locally relevant information on bites, stings and envenoming is also included. The concise layout of this didactic medical guide enables readers to quickly locate required information – essential in a poisoning emergency. Established as a primary reference in Australian Poisons Information Centres, the Toxicology Handbook is useful for doctors, nurses, ambulance service paramedics and pharmacists alike. Handbook of acute management of common poisonings. Hands on and practical approach. Investigations: Laboratory results: acidosis, anion gap and osmolar gap, recommended baseline investigations with interpretation. Unit conversion table: ECG interpretation in poisoning: Radiology.